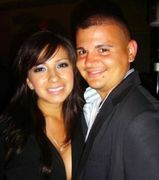 Whether you are looking to host a large celebration or connect with an intimate gathering, our sales team will help you create your perfect day. 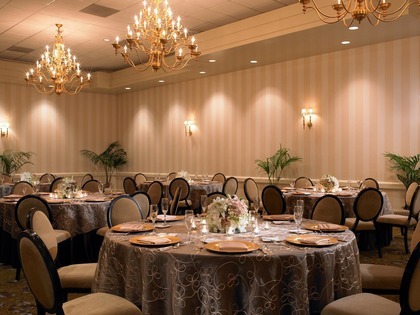 We offer 22,000 square feet of elegant banquet space. 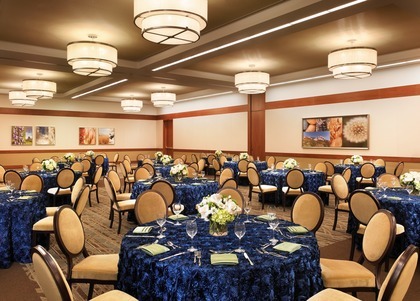 For larger events, 300,000 square feet of column-free event space is available at the Fairplex Exposition Complex, which includes the Sheraton Fairplex Hotel and Conference Center. 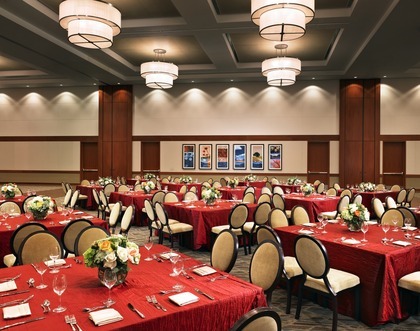 Our new Conference Center features an additional 30,000 square feet of state-of-the-art event space. 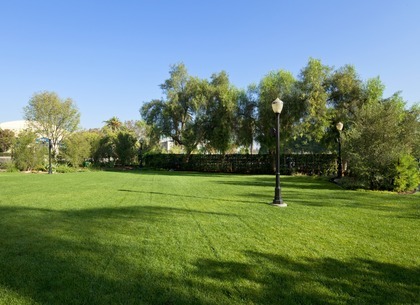 For those seeking a delightful outdoor ceremony site, the newly created Wedding Gardens provides a lush, private lawn bordered by flowering hedges and a myriad of oak, palm and evergreen trees. Plus, there’s ample room for celebratory cocktails following the service. 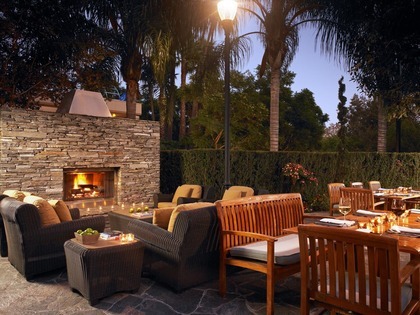 Smaller groups can reserve the more intimate McKinley’s Grille Patio, an enclosed flagstone courtyard at the front of the hotel. 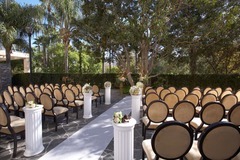 It features a stone fireplace and a graceful ash tree, beneath which you can exchange vows. Afterwards, invite your guests to the library off the main lobby for a champagne toast.